Adam Michael has this to say “I agreed to look at rose absolute from an artisan producer in late January 2019, as he was mighty confident he could impress me with his 2018 batch. He was correct to be so confident. The experience genuinely overwhelmed me, this absolute is of such hypnotic, intense, and enchanting beauty from the first moments and throughout. The head notes, so field fresh, bright, dewy, voluptuous, alive, exciting, never ending and always so deeply soothing. 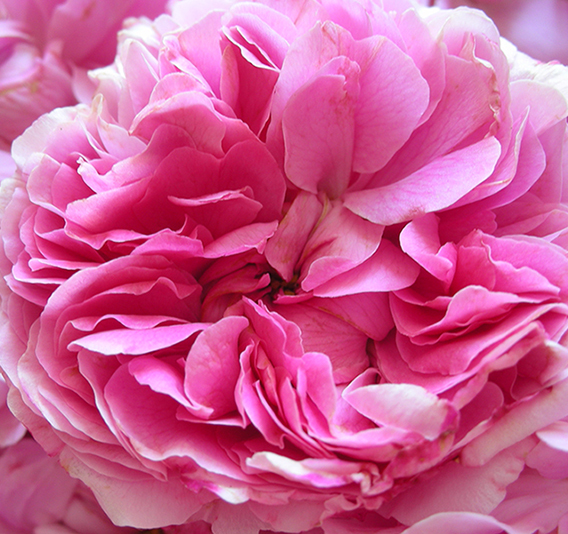 The body is a timeless classic and my definition of how I would describe the perfect “pink” rose absolute aroma profile – compared with the Rose Absolute Super Premium which I class as a “red” orientated aroma experience. Looking at the analytical certificate, this specific batch (RSA01) contains 66% of the highly prized constituent called Phenylethyl Alcohol, aka P.E.A, and of which we also offer as a natural isolate obtained from rose absolute fractions. This in part explains why the aroma leans more towards the aroma of pink petals. This batch also boasts a very low Eugenol content at 0.05% – the normal ranges are closer to 1% to 2%. This in turns explains why you don’t really detect any notes that could be classed as being “spiced” or “carnation orientated” and notes which I associate more with the “red” rose aroma.